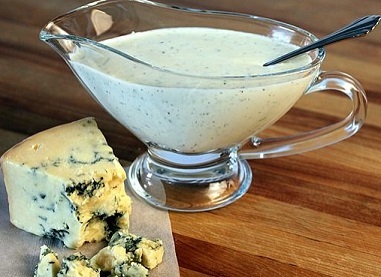 This restaurant salad dressing recipe is really good assuming you love Blue cheese ( Bleu cheese ) as much as the restaurant customers (guests) do. It is very easy to make but you'll be pleased with the results. It is fabulous. The restaurant guests have tested and approved of this dressing recipe time after time. They have not only asked for the recipe, they suggest I bottle it! No, I don't want to, at least not yet. Come to think of it, I do sell a lot of it in 12 and 16 ounce containers "to go." Preparation time: 15 minutes. Serves approximately 15. Not only is this dressing fabulous with certain salads, I see the customers using it with beef entrees! There are more restaurant dressing recipes on the website that the restaurant customers have asked for. 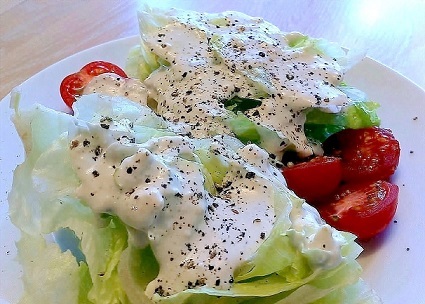 Several of these dressing recipes have been rated as major winners! Newspapers and other publications have requested these recipes more than once. Until now, they have never been published. What more could anyone want? Customer-tested, customer-approved restaurant recipes. They are delicious and nutritious. They "work." 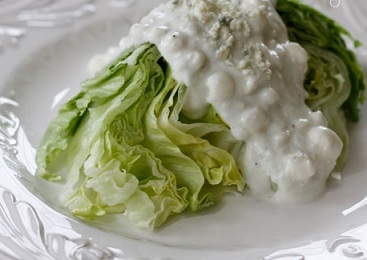 Enjoy your restaurant style dressing recipe and the company of those you share it with! "Life is too short for fake butter, cheese or people."